After you hire a Louisville Truck Accident lawyer like Matt Troutman of the Troutman Law Office to represent you in your truck accident case, how long will it take to resolve the claim? The answer to this question depends on several factors, including the time it takes for you to reach maximum medical improvement, the competency of your attorney and the willingness of the insurance company to accept your claim. 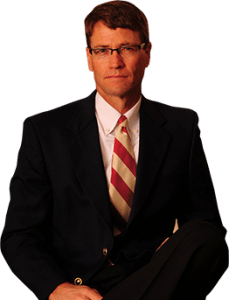 It is the goal of the Louisville Truck Accident Lawyer Matt Troutman to obtain the most money for your claim in the quickest manner possible. In order to do this, you do not want to present the claim before your medical treatment has been completed because once you settle your claim there is no going back. You do not want to settle your claim early for $20,000.00 if you can obtain $50,000.00 six months later. While you are being treated for your injuries, your Louisville Truck Accident Lawyer should be collecting your medical records, police report, police photos and other documentation necessary to present the strongest case possible to the insurance company. Once you have reached your maximum medical improvement, your attorney should discuss with you the reasonable value of your claim and then you will agree on an amount to demand to the insurance company. The next step is for the Louisville Truck Accident Lawyer to prepare a settlement demand package (copy of all your medical records and other documents that prove your claim) to send the insurance company. You should receive a response from the insurance company within 30 days after submitting the demand and at that point you will either settle your claim or require a lawsuit to achieve a resolution. If you have a serious personal injury due to a truck accident, contact Matt Troutman of the Troutman Law Office directly for your free case evaluation.